We are a desing agency from Juelich, NRW in Germany. We´re spcialized in responsive webdesign. We offer webdesign, printdesign, logo design, branding, product design and many more. 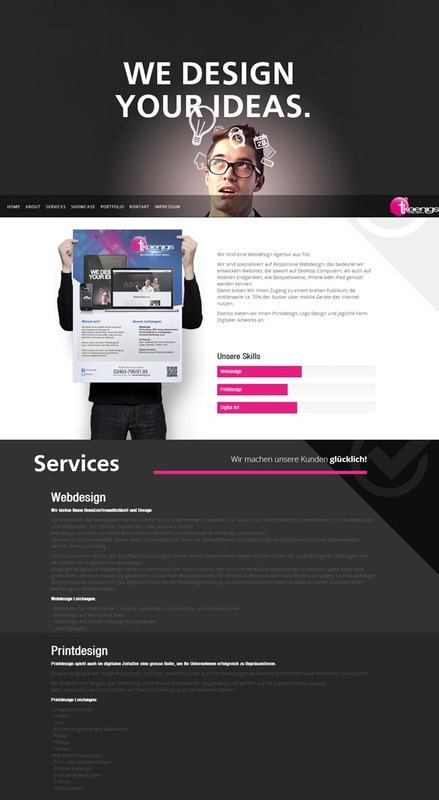 We´ve build this site responsive, with css3, HTML5 , Parallax and all actual design knowledge.